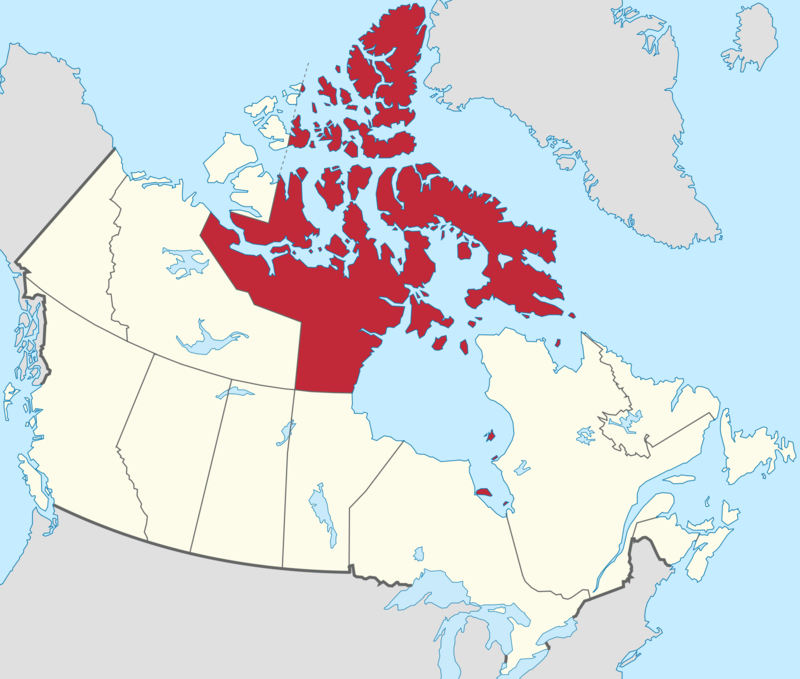 Nunavut is the largest and newest federal territory of Canada; it was separated officially from the Northwest Territories on April 1, 1999, via the Nunavut Act and the Nunavut Land Claims Agreement Act, though the actual boundaries had been established in 1993. The creation of Nunavut – meaning “our land” in Inuktitut – resulted in the first major change to Canada’s map since the incorporation of the new province of Newfoundland in 1949. Nunavut comprises a major portion of Northern Canada, and most of the Canadian Arctic Archipelago, making it the fifth-largest country subdivision in the world. The capital Iqaluit (formerly “Frobisher Bay”) on Baffin Island, in the east, was chosen by the 1995 capital plebiscite. Other major communities include the regional centres of Rankin Inlet and Cambridge Bay. Nunavut also includes Ellesmere Island to the north, as well as the eastern and southern portions of Victoria Island in the west and Akimiski Island in James Bay to the far south.